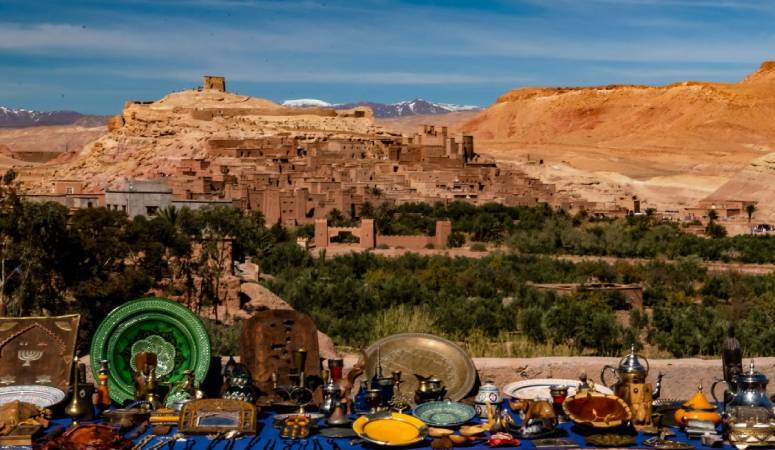 Trade has always been important to the residents of Ait Benhaddou village. Situated along the old caravan trade routes between the Sahara, Atlas Mountains and Marrakech, this present-day Moroccan village is a living testament to the past history of the area and its future. Visitors will find modern houses and structures on one side of the river and the still active ancient village on the other. Ait Benhaddou was declared a UNESCO World Heritage Site in 1987. This has given special protection to the ancient city. The village is a popular location for commercial filming. Parts of Game of Thrones were filmed here. A lot of films have been shot here including Sodom and Gomorrah, Time Bandits, The Jewel of the Nile, The Last Temptation of Christ, The Mummy, and Gladiator, to name a few. As a fortified village, visitors can explore several Kasbahs or merchant’s houses in the area. 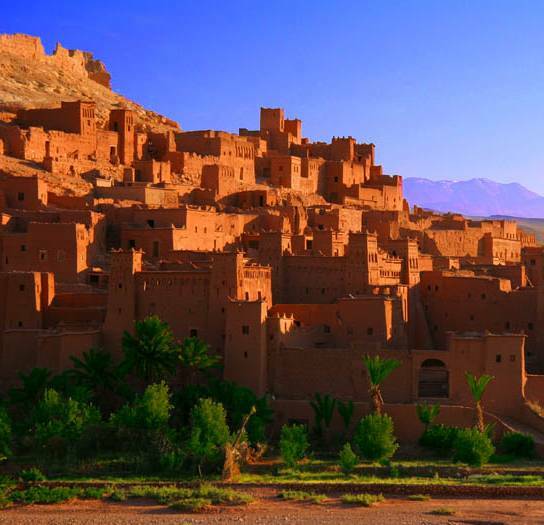 Kasbah ait ben haddou has exemplary examples of Moroccan earthen architecture. In Telouet Kasbah, guests can visit the Palace of Glaoui. Built in the 18th and 19th centuries, it was the seat of the El Glaoui family, an important trade family in the Atlas Mountains. Though affected age and environmental conditions, visitors can still learn about the impact of the ancient trade routes on the area. Exploring this area of Morocco brings history to life. There are few places where you can experience the juxtaposition of the ancient and the modern as you will in Ait-ben-haddou Village. Many people don’t know a lot about Morocco. But, since you are here, you would probably like to know more. 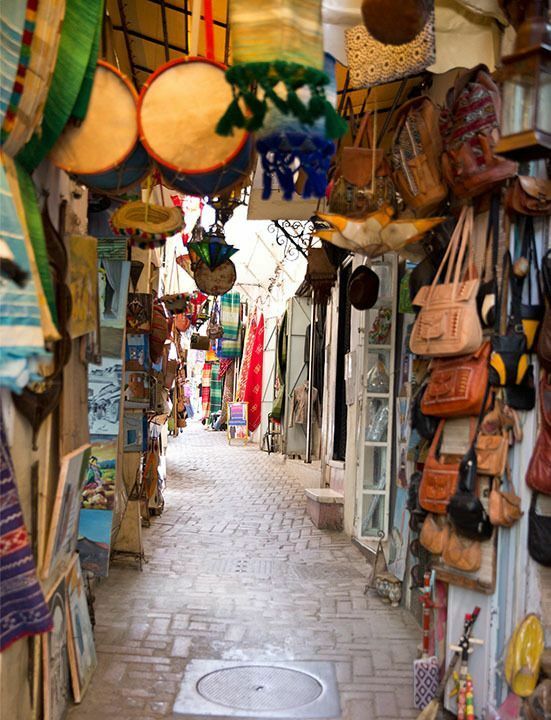 Exploring Morocco will try to bring you up close to Morocco’s attractions, festivals, events, cuisine, and much more. Be part of ExploringMorocco Tribe! Do you have a cool picture, or would like to share your travel experience / story with us.